Who doesn’t love a dollop of cool, creamy sour cream on top of a pile of nachos or on a plate of tacos? Perhaps smothered on the top of a perfectly baked potato? On chili? On anything that goes well with dairy-based sour cream? You’re in luck, there are lots of options for vegans! From store-bought brands to recipes you can make at home, I’ve got you covered. Let’s talk about sour cream basics. You probably already know that sour cream is a dairy product. 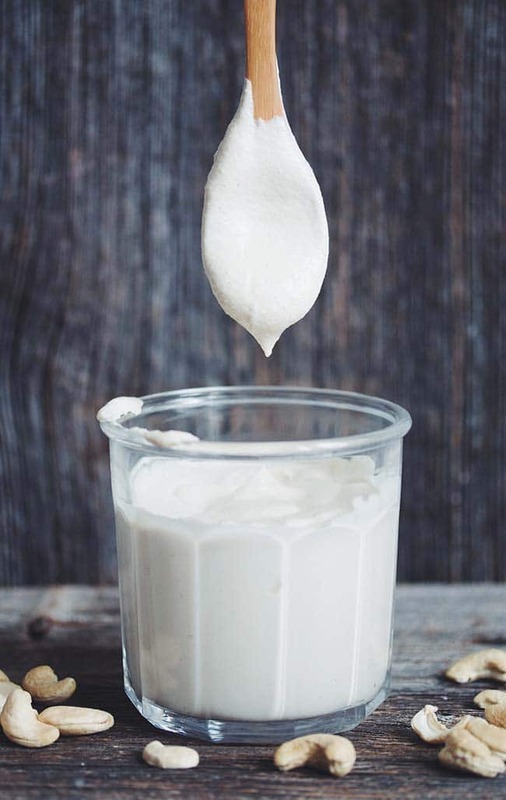 It’s the result of fermenting cream with lactic acid bacteria. Naturally, vegans avoid dairy-based sour cream. So, what is vegan sour cream made of? Alternatives come from foods like tofu, nuts, seeds, or even vegetables like cauliflower. There are premade options too. Here’s a list of the vegan brands. Note: Follow Your Heart and Earth Island are the same company. Follow Your Heart produces the Vegenaise product line while Earth Island produces the Vegan Gourmet line. 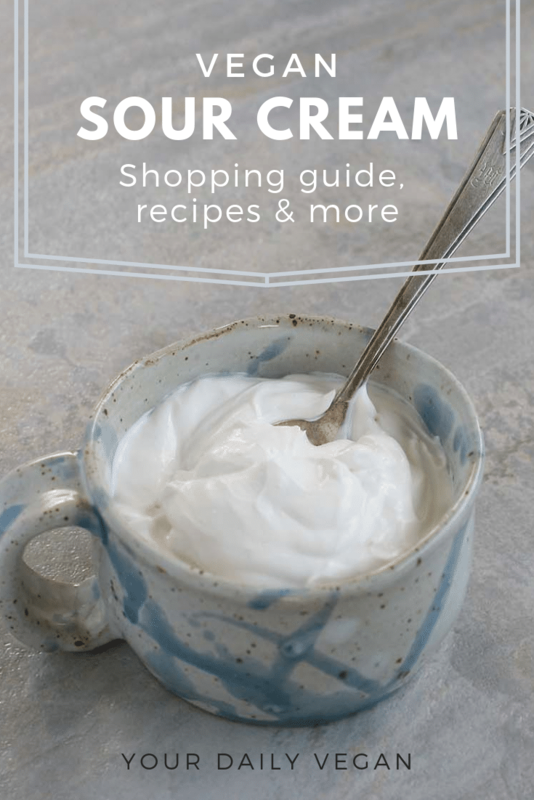 Do you make a vegan sour cream that isn’t listed? Contact me. Is There a Vegan Sour Cream? While there aren’t as many options for vegan sour cream as other products, there are several brands to choose from. First, check the label for common animal ingredients such as milk or cream. Then, look for words like “non-dairy” or “milk-free.” Finally, scan for the word ‘vegan’ on the label. Creamy, tangy vegan versions aren’t just found premade at your local grocery or health food stores, it can also be made at home. Here are a few easy recipes to get you started.